Thank you Simplilearn!!! I really learned a lot from the training session. Also the study material does cover all the concepts leaving no stones untouched. Trainer was excellent. Excellent training sessions with suitable examples. Trainer demonstrated the concepts with much elaborations and that helped us to have an indepth knowledge of the subject. Thank you Simplilearn!!! I really learned a lot from the training session. The study material does cover all the concepts leaving no stones untouched. Trainer was excellent. Really helpful to get the details of the Six Sigma Concepts and also got hands-on to the practical implementation of those concepts in to my organization. Could easily correlate to my profession and my projects as well. Very informative and influencing to learn something useful and improve processes. Provides good insight on the various aspects and thought process one needs to inculcate in order to work on green belt project. I appreciate Simplilearn’s efforts that made the training sessions so wonderful and also the trainers experience and the way he took us through the concepts made the things to go smoothly. I really liked the online support and the classroom training mode offered by them. I appreciate Simplilearns efforts that made the training sessions so wonderful and the trainer's experience as well. The way he took us through the concepts made the things go smoothly. I really liked the online support and the classroom training mode offered by them. 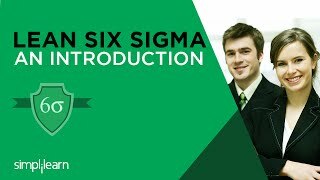 Was new to the Six Sigma Concepts but the trainer really made it easier for me to get acquainted with the concepts and to understand how I can implement the same in my field of work. Really the trainer's expertise and approach to the subject was wonderful and his guidance helped me a lot. Great arrangements by Simplilearn.